Getting a website online is an important and crucial step for modern businesses – too many people use the internet for online research, and making sure that site is attractive and professional is just as important, so getting professional help from a skilled web designer makes sense. However, there is more to a successful site than a lovely layout. I often see websites that look great but have obviously not put any effort into the content and the final result does little for the business. Content needs to be considered as part of the overall website design, not just as some words to be thrown in place afterwards. In fact, without some knowledge of the content to come, a web designer will find it hard to develop a site to suit the brief. Understanding what the website is supposed to achieve leads to an idea of the content and layout – for example, if the business offers six services, you may well need six separate pages of content and therefore the designer prepares six pages. Without any content plans, the designer may only produce one or two product pages. The designer should always make design to fit the content. Significantly, the designer needs to know the overall plan for the site – that is, a structure for the pages so that information is grouped in a way people can find it easily. This is known as site navigation and is what makes up the menus and sub-menus on a site. A rough idea of the content for each page will also show the designer any limitations – for instance, if the content will be very short, maybe more photos or a larger footer would look better whereas they may have to allow for diagrams if the content is technical. Developing the content plan can involve the web designer or a writer, and including skilled people from the start is likely to get a better result quickly – bringing in an expert later may show the need for changes. 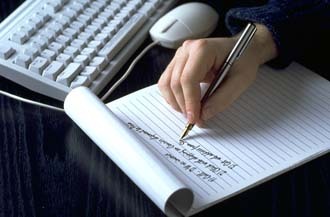 While the site is being designed, the content ideas can be written up and edited, ready for addition to the site. Writing can take more time than most people expect so don’t leave it until the designer is almost ready. It is also important to check the content itself meets the basics of spelling, grammar, clarity, flow and good expression. If you haven’t used a professional writer to prepare the content, consider one to edit it for you or at least get someone to read over your words. Once the content is in placed, go through the site page by page to see that the content and design are working together. Changing a word here and there or adjusting the size of images at this stage can add the professional polish you want. Check the headers, the image captions, the title of pages to make sure that the overall website design if free from any typography mistakes. As well as allowing time and money for content in your website process, aim for a professional web designer (and writer) willing to work as a team to get the best website for your business. Guest blogger: Tash Hughes is a communications consultant who can clarify your message or write your content for you. Follow her on Twitter or pick up tips from the Word Constructions blog.